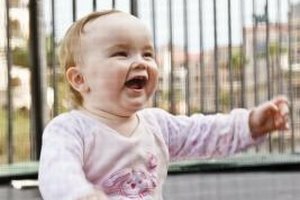 What Age Are Children in Daycare? Start your little one's learning off early at an educational program. The words "educational programs," when related to 2 and 3 year olds, don't always equal boring, sit-down learning sessions. Little ones need hands-on experiences to keep their interest going, and classes for toddlers often hit the mark when it comes to experiential education. From the more long-term type of early learning center program to short-lived workshops in single subjects such as art or music, there are a bevy of cool classes out there for tiny tots. While many moms refer to "preschoolers" as an age group meaning kids who are 3 through 5 years old, a preschool program is technically just as it sounds -- before school age. Unlike daycares, preschools, whether they are privately run or public school programs, emphasize a school-like structure and curriculum over care when moms away. That's not to say that preschools aren't completely caring environments, but these programs typically prioritize learning and offer a full curriculum that features everything from math and science to social studies, reading and the arts. 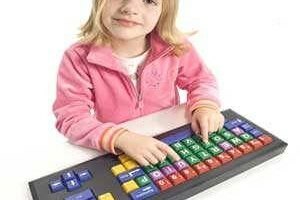 A 2 or 3 year old preschool program is usually not a full-time academic endeavor. Expect a half-day or partial week schedule instead of Monday through Friday from morning until evening. 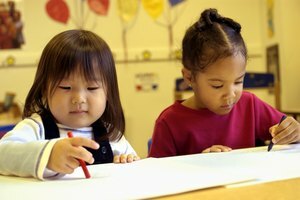 If your toddler isn't quite ready to start out on a full-fledged preschool path, try a more class-oriented option. Instead of a year-long commitment, you can sign your 2 or 3 year old up for once or twice weekly sessions that feature fun-filled educational activities such as music, art, language and creative movement. These extracurricular activities provide a perfect opportunity to introduce your little learner to an educational environment without having to make the jump into formal schooling. Look for these types of educational programs at institutions such as museums, churches, community centers and private learning centers. Moms expecting an educational program for a 2 or 3 year old to totally transform their little learner's life are in for mega-disappointment. At this stage, educational programs often focus on giving toddlers a basic beginning or foundation for building upon. For example, a tot music program won't transform your 2 year old into an overnight pianist. Instead, it will give your child simple skills such as clapping to a beat, counting and knowledge of new music vocab and instrument names. That said, don't overshoot with your expectations or learning goals. Keep in mind your toddler's developmental level and know that most early education programs have goals that include the exploration and discovery of basic concepts that, while old-hat to you, are new to a toddler. Educational programs for little learners are not the same as sit-down classes for college kids. While a group of 2 year olds sitting on rubber mats tossing and rolling brightly colored balls around may seem like unrestrained chaos, this hands-on play is actually helping them learn basics such as eye-hand coordination and problem-solving skills. Child-centered play-based experiences are the foundation of a quality toddler education program. If your toddler's school or class leader expects her to sit quietly milling over worksheets or just passively listening, chances are she's not getting the most out of her early education. Loop, Erica. "Educational Programs for 2 and 3 Year Olds." Synonym, https://classroom.synonym.com/educational-programs-2-3-year-olds-43390.html. 26 September 2017.